Tory Burch Hicks Garden Party Dress and some other fun spring summer styles! Feeling really inspired by this gorgeous coral color at the moment! This week’s EDIT comes from my obsession with this number (more sizes here). 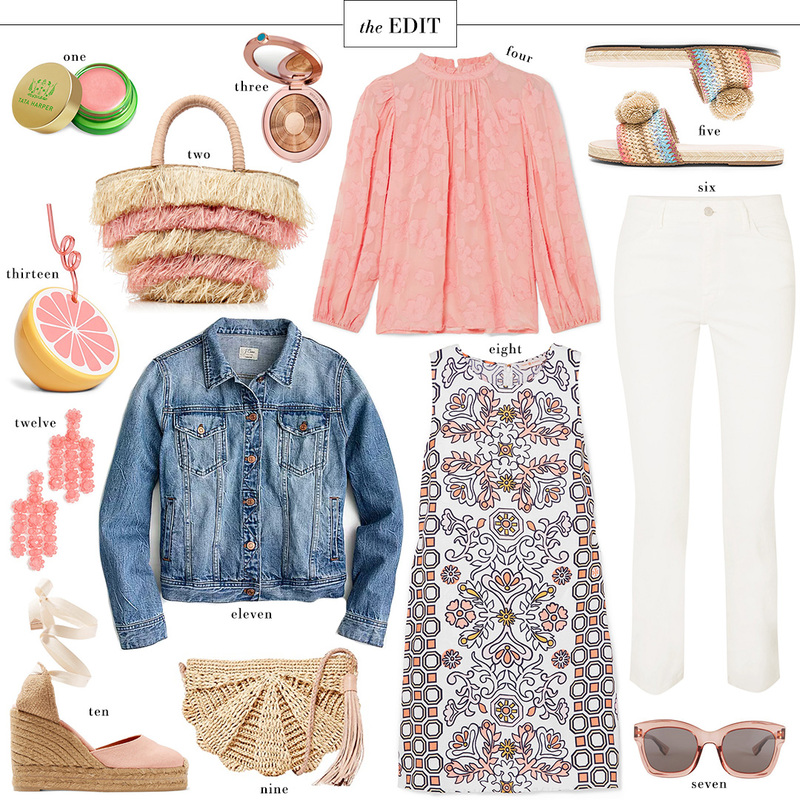 The cute cut, mod print and sorbet hues make it ideal for all the things this spring/summer. Pair it with a trench or blazer for work, dress it up with heels for date night dinner, wear with sneakers sightseeing on vacay… the options are endless. It’s just one of those go-to pieces that every lady needs in her closet! Tomorrow is our last full day in Japan! We’re leaving Osaka and heading to the Izu peninsula for one last night at an adorable seaside Ryokan. It looks like it may rain (womp womp), but I’m looking forward to a relaxing last evening before heading back home on Thursday! Hope you all have been enjoying my content from the trip so far on Instagram and the blog… more to come soon!! All of these pieces are gorgeous. I need those pink earrings in my life! I hope you have a wonderful last night of your trip. I can’t wit to see picture of Ryokan!